Spent a lot of time in Australia, particularly up on the Cape with the Mapoon and Lamalama peoples. Loved Melbourne-my jumping off place heading to Geelong. I was watching your video re the courting seahorses. There was a pink/red algae there that looked similar to one in my tank that I have been fighting against with not much success. I wonder if you know what it is and if there are any known consumers of it. Wish I had the courage to live the way you are living. You are inspiring!! Thank you for following my blog. You are a warrior and your choice of living ‘with purpose’ mirrors my own. Well done you, PT what an incredible way to seize life, full on, head first and a pink tank! And thank you much for the follow! What an amazing vibrant happy personality! Great blog you have there from what have seen so far? Just wanted to thank you for fololwing and taking the time to visit. Heres to many others? Thanx for following my blog! Some things are serendipitous, I am returning the follow! Cannot wait to continue reading your blog! Ah! A fellow diver. I have been accused of showing too many fish. But every time out is an adventure. Sorry to hear about the health issues. I dive the Red Sea and hope this weekend will not disappoint. And he thinks it is cool to be pink! PT, thanks for following my blog, PlaypusYank.com. My very best to your ongoing health. You Go Girl!!! I hope that the combination of the necessary medical intervention combined with the wonderful therapy offered by scuba diving builds strength and healing in you. It’s great to connect with your site and its just made me want to scuba dive in Australia even more – I am a frustrated scuba diver whom needs money and time to get her out on the water!!!! Came across this blog anf found it fascinating. A really profound story – and I respect your resolve to fight this horrible disease. PT – thanks so much for your visit and your like on Tide Line Still Life today. I, too, am a diver. Your encounter with the octopus was truly remarkable … the mystery and joy of such an encounter cannot be understated. Looking into the eye of an octopus in his world is one of the most extraordinary experiences a human can ever have, isn’t it? Your video is beautiful! Thank-you for dropping by my site today and liking my Sunsets. Sometimes the world is a strange place as today my brother is having half his liver removed as he fights the cancer that has now spread there. His courage like yours is inspirational. Your images of each of earth’s magical creatures captures the soul of every living being. I wish you continued strength and courage and want you to know that visitng your site today has helped me. You are inspiring. I hope you might enjoy answering the questions I’ve asked our nominees. Either way, I look forward to more of your beautiful posts! 1. What has been your favorite moment on (or in) the water so far? 2. What brought you diving in the first place? 3. What is your biggest passion outside of diving? 5. What has been your most difficult/challenging moment out on (or in) the water? I had one nightmarish dive several years ago as a fairly new diver at a site called Kitty Miller Point at Philip Island in Victoria Australia. Access to any water depth was difficult over many slippery rocks, conditions underwater were like being inside a front loading washing machine, my buddy made their way back to shore and left me in the ocean by myself about a kilometre out, I surfaced several times and was violently ill. I was exhausted from trying to swim against strong current, so I surrendered to the large waves that were pounding me towards some rather dangerous rocks, clambered up onto one with my heavy dive gear and just sat there miserable until my buddy came by foot to rescue me. It obviously wasn’t fun, but every tough experience in life teaches you lessons that make you stronger. I momentarily vowed that I would never dive again, but since then I’ve always said that a bad minute under water beats a good year on land, and I’ve taken the trauma of that experience forward with me to make me a stronger, wiser diver. These are amazing answers!! Thank you so much! I love how no. 1 and 3 tie together so well, and I really appreciate your drive to share your incredible underwater experiences with those who can’t be there too 🙂 I’ve always thought those who’ve never gotten a chance to hike in the wilderness necessarily can’t be as passionate about conservation, and that’s doubly true of the ocean which is so mysterious and “empty” to so many people. It’s wonderful how easily that can change, though—I remember being really frightened of my first manta ray when he nearly bumped me, and just because I didn’t know they were filter feeders!! Thanks! The mantas were amazing once I relaxed and realized what gentle giants they are. It makes me so sad that they’re being poached for their gill rakers, just like sharks for their fins. They’re one of my favorite animals. Where are you headed for your manta dive? Can’t wait to read/view your post about it! PT! You are amazing! And your underwater photography is phenomenal! Love the pink tank. Being a daughter of a breast cancer survivor, as well as a wanna be photographer, and someday scuba diver…LOL… I so ❤ your blog! Look forward to reading many, many more!! “For whatever we lose (like a you or a me), It’s always ourselves we find in the sea.” E.E. Cummings. I know this will sound weird, but what turned my wife’s cancer around was baking soda… and never in a million years would I believe that… but she did baking soda mixed with honey (black strap molasses at first because she didn’t want the sugar) 1tsp of each, stirred together, then “glomp” it down.. once a day, then twice a day then three times a day for 15 days. the idea is to raise your ph to 8.0 and keep it there for an extended time. also take milk thistle twice a day as the baking soda can tweak your liver. along with being a raw vegan and organic, that seemed to help turn it around.. she was stage IV as well… give it a shot, can’t hurt and might help. might be worth the read. Hello! Thanks so much for the blog follow. 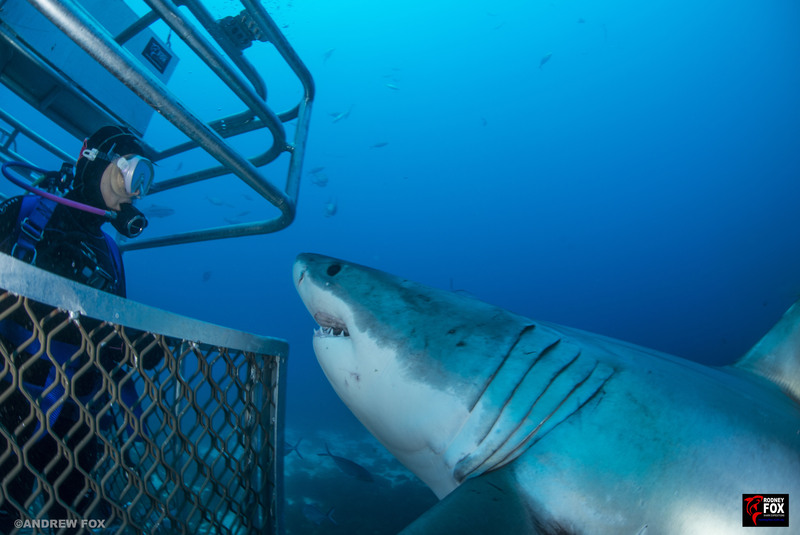 I look forward to poking around your blog – diving is something I really would like to try one of these days! What an inspiration! I cannot begin to understand the entirety of your journey but from the glimpses here, it is amazing. It is fantastic that you are sharing so bravely. For the record, you have always been inspiring. In fact when you were my teacher, you took the time to encourage me and help me believe in myself even when I couldn’t see any value in myself. I tell all my friends about the one teacher who changed my schooling and therefore impacted my life! Thank you for being awesome! As usual, I am slow to arrive at the party, seeing all of the visitors who’ve come here earlier, but I’m nonetheless here to vicariously delight in all that you have to share with us and cheer you on in your living/diving life to the fullest! I’ve never dived—never even snorkeled yet!—but have always been thrilled by water and sea creatures and been glad I was born a coastal girl (near Seattle). For now, I’m landlocked in north Texas and longing for the oceans again, nothing like being the marine biologist I once fantasized about being. So I’m pretty much guaranteed to love watching all of the places you go, things you do, and beauties you share here. Thanks for that. May every moment bring you new joys!!! Thank you for stopping by and following our blog Genis’s Fat Dog Diary. Genis and I both enjoyed your photos and videos tremendously. We admire your strength and zest for living – in fact, I think you already packed a lot more living into your young life than many people who get to live until a very old age. You truly are an inspiration. Our very best wishes to you. What happened to the lonely seahorse? Did you help it out and get it to a safe place?! Hello, as part of my one year blog anniversary celebrations, Maria Brinkley from the blog Maria Brinkley Artist, recommended your blog to me. I’m certainly glad she recommend I visit your blog because I will now be a follower of your blog as well and look forward to looking at your photos of your adventures from under the sea. Thank you so much, PT. I hope you’ll come pay my blog a visit every so often and I’m looking forward to reading your posts and seeing all those photos and video of your undersea adventures. So, here’s a message from Türkiye to say “thank you” PT. I appreciate your recent ‘follow’, knowing how many interesting and entertaining blogs there are out there. Your honesty to just get on grab what you can out of life is the sort of view I’ve always tried to aspire to. I gave up diving after my right ear decided it wasn’t gonna play ball 😦 but will have a look through your adventures. Thanks for sharing your view of the world. Respect (as the younger generation would say, lol). Thank you for your warm message… hope your trees catch up soon ! thanks for liking neel diving. Thank you for sharing aal these. Very interesting. hi PTD, sorry to say, I came across one of your videos by accident. I am sorry to have missed you with the cuttlefish, unless you are still over here. Anyway, I – OzDiverDown (youtube) would have loved to have caught up for a dive or two. I have to sort out a motor on my boat, one is playing up, but if you can make it back over to SA in the near future, let me know. Would love to take you across investigator straight to the North Coast of Kangaroo Island. or one of my expedition sites, weather permitting. Thanks for taking the time to point out the angler fish at Blairgowrie on Monday, it was a real thrill and a tick off the list of things to see. Loving your web site, my daughter and I have watched almost all your videos. stumbled unto your diveblog and truly inspired by your strength! The ocean is soooooo vast and yet so little time to dive it all eh? Please get to Raja Ampat/ Komodo/ Cenderawasih on your dive list too because they are just too awesome! Dear PT, you are just amazing, an inspiration to those in full health yet not living out their destiny. I hope you get to see the whalesharks soon, they are amazing. I saw them in 2004, it was one of my life’s best experiences. I hope everything is ok and I look forward to seeing more of your stuff. PT, if you are still struggling, happy to send you info on what my wife used for stage iv breast cancer.. it is a bit odd, but it worked for her… she is NED at this point (no evidence of disease) without chemo or radiation… happy to share if you are interested. Do you have an email or do you want it posted here? Have to say, great photos on your site, well done! I do share the same obsession and love to spend time underwater with my video gear, exploring this beautiful world 🙂 Just quick question regarding the Spider Migration in Rye Pier (or any other place?). What is typically the season to see this migration? Would love to film it!